You know it when you see it: homework stress. It looks different in every child, but the result is the same. Homework time stops dead in its tracks. Usually, the rest of the afternoon and evening feels strained and out of sorts, too. Stop homework stress before it starts with these easy tricks and tips. Plus, you’ll learn what to do when your child does get frustrated, too. Seeing your child get worked up and overwhelmed with homework is really upsetting for parents. It can be hard to know how to help. Mostly, you just want to cry or rage right along with your child. The first step is to plan ahead by setting limits from the start. Knowing that your child will only be working for so long takes a lot of the pressure off. Remember to share your plan with the teacher when school starts. 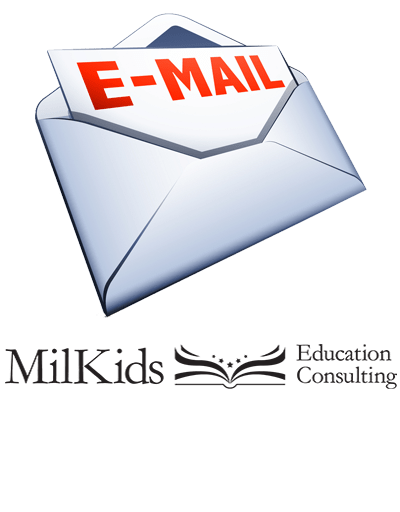 Send a quick email to the teacher that explains your homework philosophy and reasoning. You should also be guiding your child to develop good project management skills. Show your child how to prioritize tasks and avoid distractions. Having a dedicated homework space can really help! Taking movement or relaxation breaks can really help decrease homework stress. Based on your child’s age, set a time for between 5 and 15 minutes. When the timer goes off, let your child move around for a few minutes. You could eat a snack, dance, or stretch. Then get back to work again. Having a movement or snack break can help children refocus and work for more effectively. You know what your stressed out child looks like. Keep those signs in mind during homework time. Even if you’re limiting time and taking breaks, it’s still 100% possible for your child to get stressed out over homework. A tough math question or challenging essay prompt can make even the most focused child frustrated! When you start to notice the signs of homework stress in your child, take a longer break. This might even be a good time to stop for dinner! If your child is really overwhelmed, it’s okay to stop for the night, too. Just make sure you talk to the teacher about what happened. Keep track of homework stress. Let the teacher know if trouble keeps popping up on similar assignments. There might be more going on with that topic or type of homework. If you do need to stop homework for the night, be sure to let the teacher know what happened. You should also share where you stopped on the assignments. Sending an email to the teacher is a great way to share! Make sure you download your FREE Printable: 6 Steps to Homework Success!